Every student goes through practical tests. But the chemistry practical test can be a pretty challenging one. If you are soon to partake in such exams, learn some hacks on using devices such as the single test tube holder and other items, especially the ones used in titration. With these tips on taking on the chemistry practical test, you are sure to ace it. There are usually names of laboratory items and tips on using them on the back of your chemistry books. Look them up and apply them in your exam. Take your time during the exam, read the instructions carefully and think about what you need to do before actually doing it. Inspect your items before use. You may be given damaged materials with breaks and chips that can cause spills. In titrating, use your left hand on the burette to let tiny drops out and your right hand on your solution. Always handle your test tubes and beakers with care. Don’t directly touch anything with hot liquid or chemicals in it. 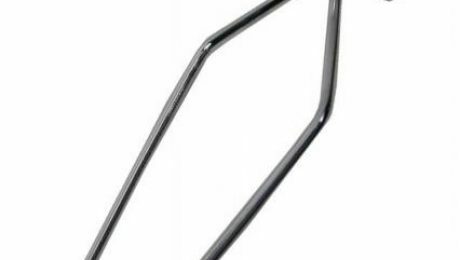 Glass tubes, pipettes and rods are easy to break. Don’t use too much force with them, wear gloves and twist them into place instead of using other motions. And don’t forget to make your safety a priority. Always wear personal protective equipment such as a lab gown, gloves and goggles. Chemicals can be hazardous when they come in contact with your bare skin. Don’t suffer the consequences of handling them without the proper gear. Once you’re done with your exam, help out and clean the items used. Some schools have their own portable autoclave machine for items that need sterilizing and autoclaving. 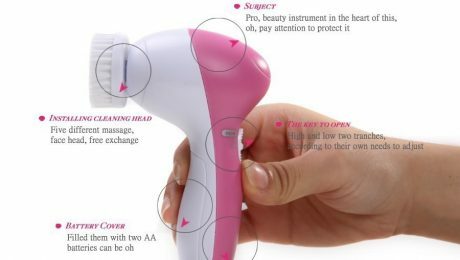 If you know how to use the device, offer your assistance. Otherwise, you can clean the things you used as you would others, or use Cidex solution if you must. Practical tests are a part of every student’s life. You don’t have to stress to much about it like some students do. Study, practice and use the tips above and you will soon pass with flying colors. Take time to practice with devices and tools from Philippine Medical Supplies and you will be quite familiar with each item’s use and how to use it properly during your exams. This assures you of having a good mark, if not having the best. Check out the most common things you utilize on your chemistry class and get them from Philippine Medical Supplies now. Every medical personnel knows what mechanical ventilation is and the tools and devices used to successfully deliver it. And this knowledge is essential if you plan on entering the medical field. CPR, the Ambu bag and the Welch Allyn 60813 are just some necessary items that you have to learn about and know how to use in order to deliver quality health care to those who need it. And in this article, you will be learning about mechanical ventilation and how the Welch Allyn laryngoscope is used in this process. Mechanical ventilation is the process of providing air and the much needed oxygen into the body through artificial means when a person’s respiratory system fails to do so. The causes of such a condition can be ventilatory in nature, which includes chest wall abnormalities, or hypoxic, such as the case of ventilation-perfusion mismatch. And in achieving this, the mechanical ventilator, which is the machine used to deliver oxygen into the lungs, should be attached to the endotracheal tube or ET. This small tube connects internally to the lungs and externally to the machine. Of course, manual ventilation using the Ambu bag can also be done but it is very exhausting on the part of the one bagging. Furthermore, delivering oxygen can be insufficient or too much pressure can be placed on the lungs if bagging is not properly done. But this process is much cheaper compared to using a ventilator, considering the Ambu bag cost as compared to the machine. And when manual ventilation is used, the bag should be attached to oxygen and owgels used. Now, the Welch Allyn laryngoscope is what doctors use to insert the ET and properly put it in place before attaching it to the ventilator. This process is called intubation and needs expert skills and experience to be able to succeed. The patient should be positioned with his head tilted to provide the straightest path to see the larynx and pass the tube. Open the patient’s mouth as wide as possible and insert the laryngoscope’s blade into the mouth slightly to the right of the tongue. Then rotate the blade back and lift upward and away. When you see the larynx, pass the ET in one smooth motion. After the procedure, always verify placement of the tube. Listen for presence and equal breath sounds using the best stethoscope. 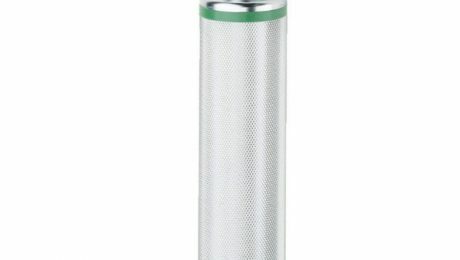 Check the Littman Stethoscope Classic III price and use this excellent device in your medical career. Now that you know what the Welch Allyn and mechanical ventilation is, be prepared for your medical journey with the best supplies from Philippine Medical Supplies. It wasn’t long before people had to suffer chronic pain and depend on pain medications or medical procedures for relief. Thanks to advancement in technology, people can now manage pain themselves and use devices such as the Omron Stimulator to reduce the pain and carry on with their lives. Let us learn about the self-managing pain relief devices that are available for people suffering this condition. The Omron Tens stimulator is a small device that is attached to the skin by wires and sticky pads, and transmits electrical pulses capable of relieving pain. It is easy to use, well-tolerated and void of side effects when used properly. This non-invasive procedure delivers heat throughout the circulatory system to reduce thickness of the blood thus improving circulation and relieving muscle pain. Electric massager Philippines swear by the pain relief that the therapeutic massager provides. It relaxes tense muscles and improve blood circulation thereby relieving pain. 4.Light Therapy. The near-infrared light therapy device provides fast pain relief by acting on the body’s natural biochemical processes. Because of this stimulation, endorphins are released which help inhibit pain signals. 5.Electromagnetic Field Therapy. The electromagnetic pulses from this device delivers pain relief, as well as promote joint and muscle recovery. 6.Clinical Strength Therapy. This device, worn on the upper calf, activates the body’s own natural pain blockers leading to widespread pain relief. Being able to manage pain on your own is a great achievement. You don’t even have to look for ankle support Philippines if you can’t stand anymore because of the pain. Plus, the convenience it brings is something that people with chronic pain is greatly thankful for. You don’t have to depend on pain medications, invasive procedures and other medical treatments , oxygen and owgels even, just to get through the day when pain attacks. You can easily sit it down and manage it on your own. That’s the kind of treatment patients today look for. And the devices for these are readily available. You only have to visit Philippine Medical Supplies to find the perfect device for your self-management and you’re good to go. 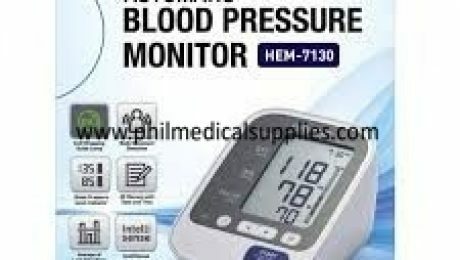 Philippine Medical Supplies is the nation’s top supplier of all things medical. Visit them today. The significant changes in your life and the pull on your self-confidence are not just the things that you have to undergo and cope with when you go through surgery and come out with a stoma on your abdomen. Yes, these changes can be very shocking, especially when it happens drastically, but taking care of your stoma becomes a part of your life from then on. And problems come when you use inferior bags rather than going with the trusted Convatec colostomy bags. What problems do people with with stomas usually face when they use low quality bags for their colostomy? One of the most common problem with this is leaking of the colostomy bag. When a bag leaks, complications like inflammation or infection of the skin surrounding the stoma happens. And this can be serious if left untreated. Sadly, some people just cover their stoma with Top Care adult diapers, which really shouldn’t be. 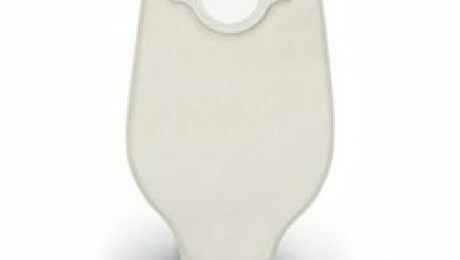 Convatec colostomy bag, you are assured of the right fit, strong materials that don’t easily tear and easy manipulation. With this, and the right management, you can prevent complications and other problems associated with having a stoma. Going through surgery and having a colostomy is not very easy at all. But patients learn to deal with this situation. And it’s all good once they learned how to manage it. And in these kinds of situations, the best medical supplies really matter. What good is an affordable device when it gives you problems, right? The same goes with bedridden patient supplies, BP apps, stethoscopes and other medical items. Fortunately, Philippine Medical Supplies is here to help us find the right supplies for all our medical needs. You can get the Convatec colostomy from them. As well as the well-loved brand, Littmann, for stethoscopes and other devices. Check out their Littmann Stethoscope Classic III price now. When you stock up on high quality supplies for your ostomy and other needs, you don’t have to stress yourself every time you run out of materials. Getting them from Philippine Medical Supplies is actually very easy. Visit them now and get your colostomy bags delivered right at your doorstep, stress-free.